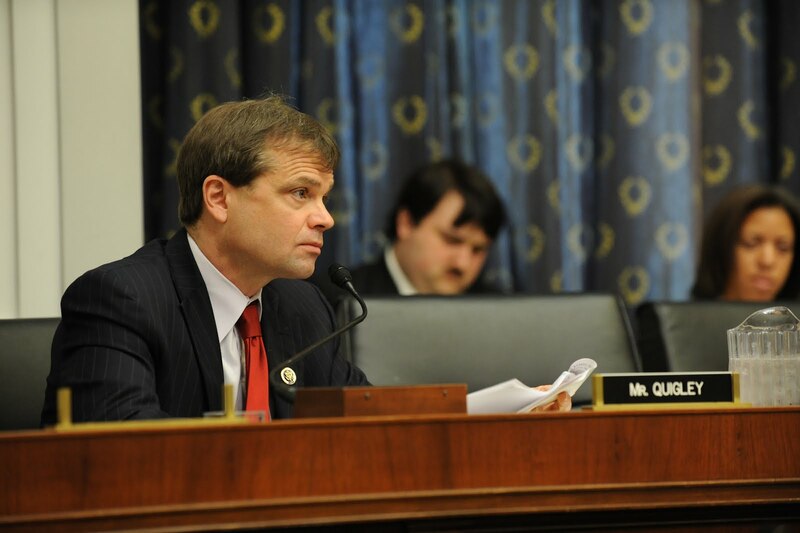 When members of the 113th Congress were sworn in Jan. 3, East Village got a new congressman: Mike Quigley. The southern edge of Illinois' 5th congressional district now ends roughly at Damen, Grand and Milwaukee avenues. Aside from Goose Island, it's the only stretch of Quigley's North Side turf that extends past Division Street. East Village now has three aldermen (maybe more during the ward remap transition) but only one congressman. So it's get-aquainted time for former constituents of Luis Gutierrez. Tim Nazanin, Rep. Quigley's outreach coordinator, will sound out community concerns at Monday night's East Village Association meeting in the Happy Village, 1059 N. Wolcott. Rep. Quigley, a former Cook County commissioner, was elected to the House four years ago. In this session he'll have a role in the budget debate as Illinois' only representative on the House Appropriations Committee. Rep. Quigley is also the state's regional whip in the Democratic caucus, and has been the ranking member of the subcommittee on TARP, Financial Services and Bailouts of Public and Private Programs. A backer of Chicago's handgun ban, Rep. Quigley began the new term by introducing bills to report firearms-dealer background and inventory checks and to fund $15 million in local gun buybacks. The local-news blog DNAinfo this week reported on Quigley's "undercover congressman" shift at Dinkel's Bakery in Lakeview. The meeting starts at 7pm with a Business Minute on Banco Popular's latest incentive program. I hope to make the meet and greet this week. Am very grateful for your strong support of gun regulations, but Chicago is not an island. That's why I work with One Million Moms For Gun Control (1MM4GC) to take action toward ending lax loopholes and laws that contribute to so, so, so many fatalities. Please keep gun control & ending gun violence a high priority! Thank you. Hope I can make it. Thank you, Rep. Quigley, for pursuing more gun control regulations including buybacks and background reporting. Stay the course and seek to end gun violence, too many families are hurting. In this country, we need universal background checks on ALL purchases, and an assault weapons ban as well as a limit on rounds of ammo. Chicago is not an island, which is why lax loopholes everywhere around us are such a scourge. I am taking action with One Million Moms For Gun Control (1MM4GC). Hope you will support us at future events and rallies. Together we can make change. Now is the time.